The Toyota Camry is not only the most popular midsize car in America, it's been the best-selling passenger car in this country for the last eight years and 12 of the last 13. It does everything very well and is known for its quality, reliability and resale value. It's comfortable, easy to operate and an easy car to live with in a hectic world. It's pleasant to drive in all circumstances. The Camry seats five in comfort yet it's relatively compact and easy to park. It's smooth and quiet, but it can accelerate with vigor. Its cabin is attractive, functional and refined, while its styling is aerodynamic and shows vitality. 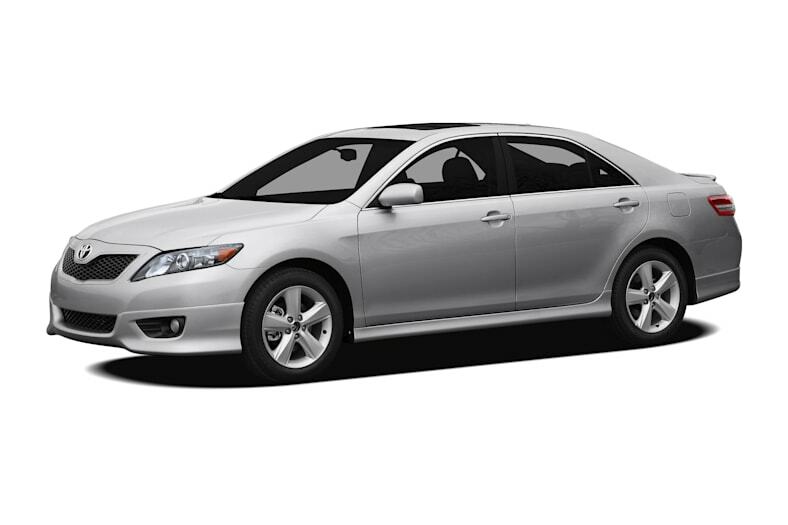 A wide range of models runs from the well-equipped base Camry to the near-luxury Camry XLE. In between are the popular Camry LE, a modest step up from the base and available with the V6, and the SE, decked out with suspension, tires and trim to please the sporty crowd. All Camry models offer good EPA mileage ratings and low emissions in their respective categories. The Camry Hybrid offers the best fuel economy, featuring a hybrid gasoline/electric powertrain with an efficient continuously variable transmission. The Hybrid is a good performer and one of the most fuel-efficient mid-size vehicles anywhere. The Camry comes standard with a 2.5-liter four-cylinder engine. Equipped with Variable Valve Timing with Intelligence (VVT-i), it's rated at 169 horsepower for the Camry, LE and XLE trim levels and 179 horsepower for the sporty SE. The four-cylinder can be matched with either a six-speed manual or a six-speed automatic transmission, and it offers ease of driving away from stoplights, running with freeway traffic and climbing hills. Camry V6 models get a 268-horspower 3.5-liter engine and a six-speed automatic with manual shift feature, and it delivers plenty of response and performance, along with silky smoothness. Standard Vehicle Stability Control (VSC) with traction control regulates engine output and brake application to help maintain control on slippery surfaces. The Hybrid is equipped with the Vehicle Dynamics Integrated Management (VDIM) system that helps manage traction and stability through throttle control and brake application, and can even deliver minor steering correction if circumstances require. For 2011, lower-rolling-resistance tires for the V6 models increase EPA fuel economy ratings from the previous 19 mpg City/28 mpg Highway to 20 mpg City/29 mpg Highway for the 2011 Camry. Since its debut in the United States well over two decades ago, the Camry has earned a reputation for smart design, pleasing function, great build quality and long-term durability. It's not all hype. The Toyota Camry remains the benchmark by which its competitors are judged.